Pregnancy, birth control pills, hormone medication, and skin injuries can sometimes leave you with dark patches on the skin. Spots on the skin can be melasma, age or liver spots, hyperpigmentation, or just freckles. If your dermatologist has not told you about the benefits of hydroquinone cream yet, we will outline them for you below. Hydroquinone is a skin-bleaching agent that lightens skin areas by reducing pigmentation or fixing uneven skin tones. This dermatologic wonder can also treat acne scars and technically any area that is unnaturally darkened. Hydroquinone is a common ingredient in many over-the-counter skin care creams. Some customers have reported that the compound lightened their facial skin, therefore, making them look younger. 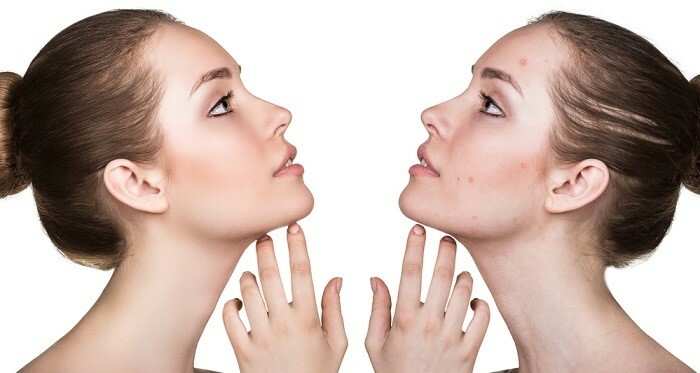 Let’s dig deeper into the benefits of hydroquinone creams! Across the U.S., hydroquinone-based creams are available over-the-counter in concentrations of up to 2%. Creams with higher concentrations can only be purchased with a prescription. But 2% is enough since some over the counter creams yield visible results within just four weeks of night use. Don’t forget to check out a list of the best hydroquinone cream over the counter before making a purchase. The bleaching agent works by first halting the production of melanin – a natural pigment in the skin. Meanwhile, it eliminates excess melanin that’s already present in the skin’s pores. Side effects are few to none as most creams also include ingredients with healing properties such as vitamin C, salicylic, and lactic acid. As you can see in the FDA guidelines, hydroquinone has been around since 1982. Thanks to regulation adjustments in recent years, the impressive skin-bleaching agent is now the main active compound of most bleaching creams. Such a skin care wonder also comes with extra benefits. Hydroquinone creams are fit for skin treatments that you can apply almost anytime and anywhere. You can easily integrate a hydroquinone cream into your morning or evening routine. You will only need to apply the product to the area which requires treatment. The process needs quick rubbing to save you time. You can take such creams on your vacation travels and safely keep them in your purse. This is one of the benefits of hydroquinone creams that deserves a trophy. New mothers can feel more confident about their bellies and entire body if their color returns to an even tone again. Hydroquinone successfully covers stretch marks and dark areas that might appear during pregnancy. A new mom who finds it difficult to make peace with the body changes brought by childbirth can pair hydroquinone creams with other beauty rituals like postnatal massages. If you choose OTC creams, you may soon realize that you won’t need to use them for your entire life. Actually, experts recommend that you stop using the cream if you don’t notice any result over a period of three weeks and go visit your dermatologist. In most cases, you should use the cream in 4-month cycles. Hydroquinone stops the development of melanin, so you lose pigment production. Therefore, you won’t need to use the cream in the long run as the effects show immediately. The average cost of a hydroquinone cream is $25 – $30. One product is regularly enough for the entire treatment so that you won’t need additional purchases. Some high-end OTC products might cost $30 – $54. However, if you’re on a tight budget, you can also find creams for $6 – $8. Prescription creams usually cost around $35 – $77. So, you won’t need to set up a particular budget or give up on regular shopping to take care of your skin. A hydroquinone cream is above all a cosmetics product. By replacing your regular cream with a local skin bleaching treatment, you won’t deprive your skin of vitamins and minerals. Bleaching creams are popular because they pack ingredients that ensure proper hydration and moisturization. Your skin will continue to feel healthy throughout the bleaching treatment. Do you remember those painful creams that end up burning or itching or making your skin red as part of the treatment? Most anti-cellulite creams have these nasty side effects. The good news is that a hydroquinone-based skin treatment is entirely painless. You should keep the cream in the fridge for proper storage. When you apply the cream, you will also get a cool and refreshing feeling. Reports of side effects are rare. Some may feel a mild skin irritation which clears up after the treatment is removed from the face. Doctors usually monitor the procedure and can prescribe supplements or herbal remedies for such situations. Side effects usually appear when patients don’t follow directions entirely. You shouldn’t apply the cream to the skin area around your eyes or use it on areas that have not darkened. By following the instructions, you’ll also minimize the potential side effects of the treatment. These benefits of hydroquinone creams speak volumes of their effectiveness and qualify them as essential parts of a skincare routine. You can also increase their effects if you use protective clothing and SPF15+ products when leaving home. Enjoy discovering the other benefits of hydroquinone creams and, most importantly, their results!